I posted another square watercolor today (see Pen and Ink and Color). I began the square below also with a free-form outline. Instead of pencil, I used a soft charcoal stick. I had the term ‘biomorphic’ somewhere in my head (probably from reading about some of Willem de Kooning’s works). I did not choose my colors according to any plan. The emphasis in this study was more about form. 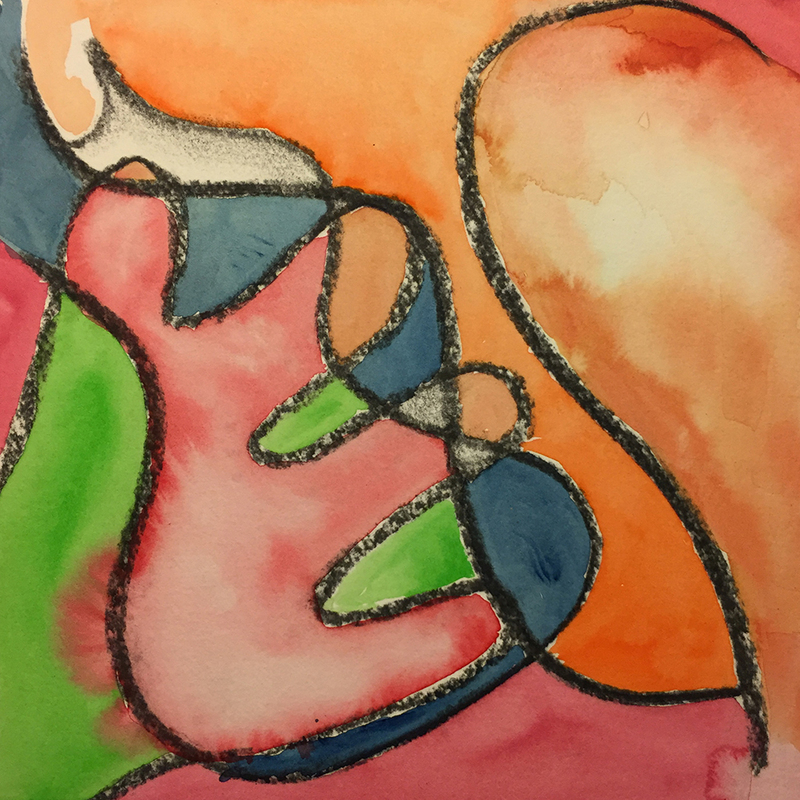 This entry was posted in Personal Stories and tagged abstract art, abstract expressionism, artistic process, biomorphic forms, charcoal, creative process, creativity, visual arts, watercolor, Willem de Kooning. Bookmark the permalink.